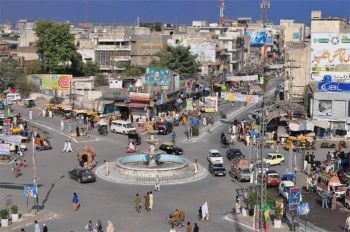 A three-member committee of the City District Government Rawalpindi (CDGR) has begun the hunt to find land in order to shift industrial zone away from the residential areas of the city. According to the district industry department, statistics show that more than thirty seven industrial units were in the garrison city. The fact that these industrial units deal in chemicals, plastic and other toxic materials makes this matter even graver for the residents of the area. To top it all, most of these units have inadequate safety features. The DCO took the notice of this alarming situation and formed a committee comprising of district officer labour, District Officer Industry Masood Malik and Additional District Collector (ADC) Saif Anwar Jappa. Although a committee has been formed to look for appropriate land for the relocation of these industries, yet neither does CDGR have enough funds to buy private land nor is there any state owned vacant land available in or around the city. According to a senior official, CDGR, which has twice failed to relocate these units, has formed the committee has a spoof and does not really intend to do anything about the alarming situation. Responding to such concerns, other officials maintained that the government took elaborate measures to combat with the danger of industrial units once and for all by making it a permanent policy to shift industrial units outside of the city. According to Saqib Zafar, DCO, the CDGR took this measure after they received a complaint against the thirty seven industrial units in question.